I came across this photo on a weight loss website on Facebook a few days ago, and my jaw dropped. It is by the far the most dramatic transformation I'd seen, and so I approached the woman in the photo - Erin Jaye Williams - to tell her story to Josie's Juice blog readers... and she did, in her own words. 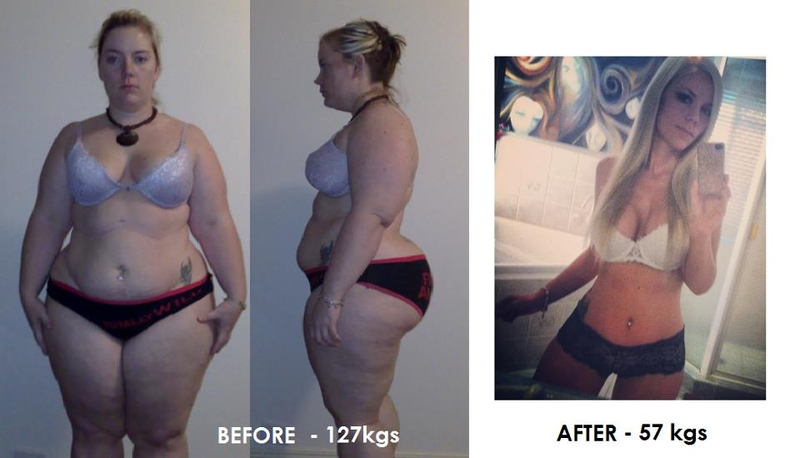 Here is Erin's incredible story. 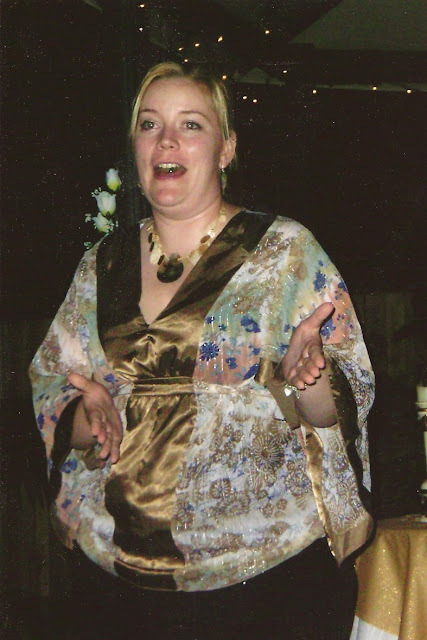 I have no delusions about why I was so overweight. I ate too much. I was lazy. And in all honesty, being “fat” is all I ever knew. I had been overweight since the fourth grade, and it was no picnic, if you’ll allow the expression. I still vividly remember grade five. I was ten years old. We had a class project in which every student had to be weighed in front of the class and our weight put on a graph on the blackboard. I was sweating long before it was my turn. And I was only a child. I was the third heaviest in the class, outweighed only slightly by two boys who were both significantly taller than me and both grossly overweight themselves. I recall specifically the boy I had a crush on gasping as my weight was read out, and my teacher telling him off. And I also recall that I weighed then almost exactly what I weigh now, at the age of thirty and being a LOT taller. That was just one of many experiences I had as a child which are as clear in my mind as the day they happened. The humiliation. I was ten. I didn’t really know why I was fat or what I could do about it. All I knew was that no one really liked the fat kid. My weight didn’t balloon until well and truly after I had left high school and started a nice sedentary job filled with quick, easy, carb-rich meals, in a city far away from home. When I hit 90kgs I began to panic and had a run-in with the grandmother of my partner at the time. “Erin,” she said in her sweet way, “If I won the Lotto, I would send you to a fat farm.” I was still young. Only 19 at the time. And those words sparked a series of eating disorders which would plague me for many years. Through almost total starvation and excessive exercise, I went down to 75kgs and I would celebrate every loss with a delightful glass of ice water. My boyfriend was a total arse, and I realised he was making things worse for me. So I left him and moved back to Brisbane, which seemed to ease my food fixation. Having starved for so long, the weight crept back up until before I knew it, I was at 100kgs. And I was quite the unhappy young lady. I would diet, lose a few kilos, fall off the wagon, put the kilos back on, plus some. Then I’d slip back into starvation mode: a cycle that I just couldn’t seem to break. I expected to fail each diet, and so I did. I practically set myself up to fail. Anyone who knows me is aware of what happened next. 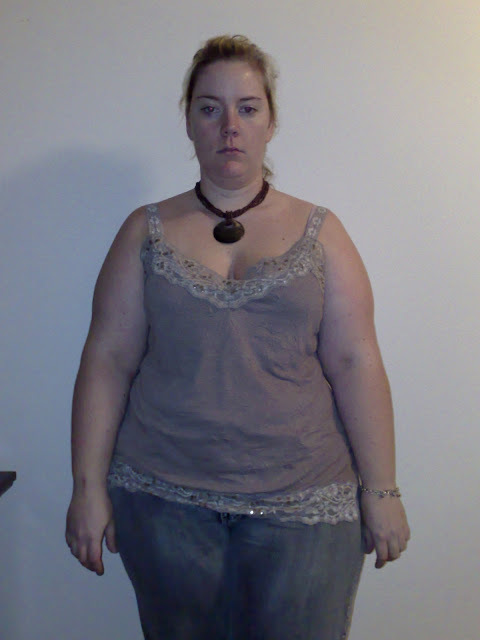 In 2007, I weighed 127kgs and wasn’t living at all anymore. Everything seemed torturous. I recall a work function in which I was supposed to go to laser tag and I pretended I was too busy to go with my friends because I knew the vest wouldn’t fit me. I went to Dreamworld and after one ride I left – because I’d had to be given an extender-belt and was so humiliated that I just wanted to go home. I lived on pizza and KFC and rubbish. And forget clothes shopping – that was a special kind of pain. The three-dimensional mirrors were too much to resist and the reality of how I really looked was like a punch in the stomach which would send me spiralling into depression. So one night as I tucked into a bucket (yes, a bucket) of KFC, I discovered a piece which still had the head attached to it. And before I knew how it really had happened, I had a television tabloid on my doorstep wanting an interview – which I gave them. And so that was the wake-up call I needed. The vastly overweight woman on television, bitching about the quality of her takeaway. I was absolutely mortified. I had become “that” person. I realised I was throwing my life away. I had already had my gall bladder removed and had a family history of diabetes. I was still young and wanted my life back. No more hiding away. No more avoiding my reflection so as to avoid reality. Something had to change. Something BIG. In the end, after loads of research, I had bariatric surgery and with the aid of a Lap Band, lost 70kgs over the next four years. At the end of the day, the food side of things I was willing and ready to deal with. But exercise was a whole other element. A dark and depressing element over which I had a thousand excuses not to conquer. I've had a massive influx of messages on my public Facebook page (www.facebook.com/my.fat.soul) from women, of late. Women who I see so much of myself in. They appeal to me to help motivate them. They beg me for my "secret". And it makes me feel so sad that sometimes I even feel ill for them - to reach out to someone and beg them to help you achieve what they already have is a brave step in itself. I know that feeling. I know the desperation. Deep down, we know what our weaknesses are. We know we are making excuses. We know that these excuses prevent us from being happy and healthy - yet we can't drag ourselves out of that depressing pit. "Please Erin - give me your motivation!" Oh my lovelies, if only I could bottle it for you. I would in a heartbeat. But I simply cannot lie and say it is easy to come by. It's intensely difficult and I would suggest that it works differently for everyone. So all I can share today is what I know in myself. And I will try to offer one secret I found helped me find my motivation." Stay tuned for part two of Erin's incredible story, right here on Josie's Juice blog. What do you think so far? Can you identify with Erin's story? Click 'like' on Erin's Facebook page for daily inspiration.